I have a Probook 4530s that had some catastropic problems and I was forced to reinstall my Operating System and the various drivers to get the machine back to operational. For a while it kept getting stuck at the Starting Microsoft screen and wouldn't load further. I finally got passed that (but I still haven't installed the switchable graphics drivers for the AMD driver). I am currently connecting to the internet via a wired connection. I noticed my wifi doesn't show up, and in the HP Connection Manager it says the wifi has been disabled in the bios, but I am unable to reenable it in the bios as it is greyed out. I also wonder which driver set I should be installing for my wireless ethernet as it shows a bunch of options for my computer model on the driver support page? I do know my wired ethernet works and that driver is using a Realtek driver. I have other issues but I'm slowly tying to get my machine back to operational. If the wireless card needs a driver, there should be a device listed under an Other Devices category in the device manager lableled as a Network Controller. If you see the Network Controller device, please post the hardware ID for it so I can post the link to the wireless card driver you need. To find the hardware ID, click on the device labeled Network Controller. Then click on the Details tab at the top of the Network Controller window. Now you should see a Property drop down list and it will be set to Device Description. Now for some odd reason it says my wireless lan is disabled in the bios (f10), but when I enter the bios the area to re-enable is greyed out so I'm not sure how to proceed after that. There was no Device listed under the Other Devices Category in the device manager, is my problem just the bios having the wireless card disabled? Thanks for the suggestion Edgar. 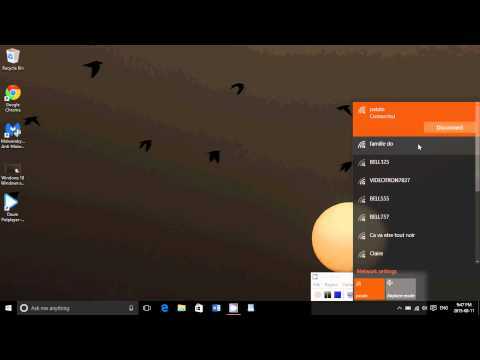 I watched that video but I am running Win7 not 10 so a lot of the advice wasn't applicable. However I appreciate the help. OK, so the card is definitely disabled in the BIOS but unfortunately, I don't know how to enable it if it is grayed out. It might have to do with that protect tools software not allowing you to make any changes. I wanted to let you know Paul and Edgar who offered help, as well as anyone else that may encounter the problem with this specific model, what I ended up finding out that seemed to work was I logged into the bios as a guest user and that somehow allowed me to re-enable the wireless card. I then was prompted that their were wireless drives that needed to be installed once I got into windows again. I downloaded them and installed them and that seemed to do the trick. It seemed odd to me that the Bios would lock me out of the wirless card using my password and log-in but not for the guest user accessing the Bios, that seemed almost in reverse of how it should be but oh well it worked. Thanks again for the help you two offered me a few months back. Glad you got the wireless to work.